The Masters in Law and Economy of the Sea of NOVA Law School was elected the third best in the world in the Maritime Management category by Eduniversal, an international agency that annually publishes the rankings of the best masters and MBA in the world, based on the analysis of about 30 study areas, evaluating more than twelve thousand postgraduate teaching programmes. In addition to the Masters in Law and Economy of the Sea, the Masters in Law and Financial Markets, a joint program of NOVA and NOVA IMS, is ranked among the best in Western Europe in International Business Law by the same agency. The Masters in Law and Economy of the Sea is an interdisciplinary, unique and innovative program dedicated to the study of all issues related to the governance of the Sea. 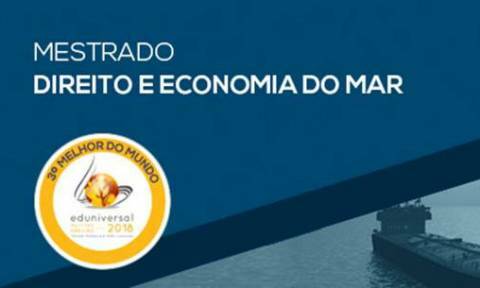 Since its creation in 2015, the course has received and trained a considerable number of students from all Portuguese-speaking countries, provided internships with public and private entities and research in the most important international bodies in the field of the sea, such as the International Maritime Organization in London and the International Tribunal for the Law of the Sea in Hamburg. Within the scope of the Masters' degree, a wide range of activities, such as conferences, seminars and training courses, are also developed. In the four years of the course, many national and international teachers and experts have taught, thus contributing to greater diversification of teaching and to the expansion of the student network in the public and private sectors. For the Dean of NOVA Law School, Mariana França Gouveia, "this is yet another recognition of the innovative nature of NOVA Law School, which is proud to focus on differentiating areas and a multidisciplinary perspective of Law."